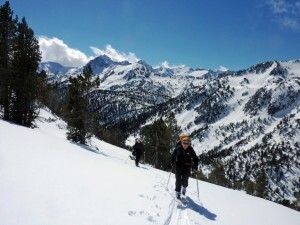 The Marcadau Valley is in the Pyrenees National Park and was historically a place of commerce and exchange between the high Aragon and French valleys north and south of it. The word 'Marcadau' means market in local dialects. 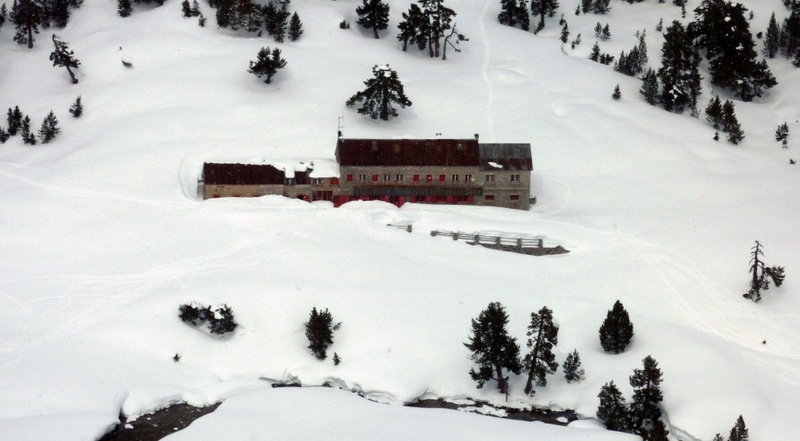 The new (and comparatively luxurious) Bachimana Refuge in Spain at 2200m allows us to discover this region which is particularly suited to ski touring. We will spend the five days between the Wallon and Bachimana refuges with a first day tour somewhere in the Luz valley before setting off. 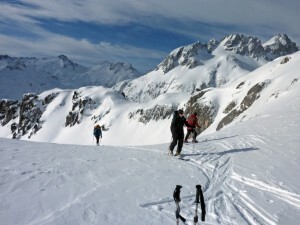 Price: 1300€pp which includes six days ski touring with a qualified UIAGM high mountain guide, three nights accommodation in Hotel Les Templiers, four nights between the Wallon and Bachimana refuges. All dinners & breakfasts, picnic lunches when in refuges. Hotel in double/twin room. Single supplement at the hotel 20€/night. 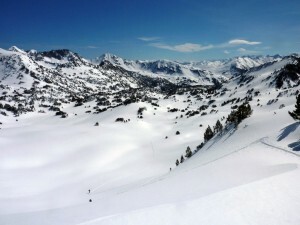 Extras: Lift passes, hire gear, lunches on two days (bakery and shops close by, fridge in lounge to store things). Day One: Transfer to our base in Luz St Sauveur. Meet with your guide for a chat over pre-dinner drinks about the week, check your equipment and collect hire gear if necessary. Day Two: We start with a warm up day out somewhere in the Luz Valley. The group and guide will choose depending on conditions and desires. Day Three: Transfer to Pont d'Espagne (1450m), the departure point for the Marcadau Valley and Refuge Wallon (1865m). 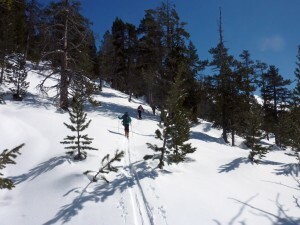 Good warm up skinning. 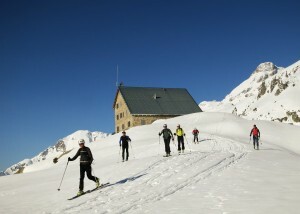 Day Five: We head for the Col de Piedrafita (2780m), and ski down to Respumuso Refuge. Day Six: Today we climb the Pene d'Aragon (2916m) before a lovely long descent back down to Refuge Wallon in France. Day Seven: From Refuge Wallon we climb to the Lac du Pourtet (2420m), looping around to reach our starting point at the Pont d'Espagne. Return to Luz for the final night. Day Eight:Transfer to Lourdes airport or train station for your return transport home. To book you can use the on-line booking system below - select your start date and your end date and then proceed. The system will ask for a deposit which you pay using PayPal. 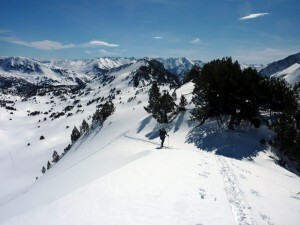 Or, if you prefer, you can email us directly (sian@pyrenees-mountains.com), or ring directly on +33 5 62 92 81 52.